Nearly two years ago, the FDA received a high number of adverse events reports relating to Gadolinium-based (GADO) Contrast Dyes used in MRI testing. Adverse events reports are used to describe incidents in which a user of a drug is injured because of the ingredients in the product. In the case of GADO dye, a high number of users who had kidney dysfunction developed Nephrogenic Systemic Fibrosis (NSF). On September 9, 2011, the FDA has announced a label change to denote the risk of NSF for users of the dye. While it’s taken nearly two years for the label to be changed, the hope of the FDA is that people who need MRI’s will be better protected from harm with the new label denoting the risk of NSF on GADO dye products. Radiologists, nephrologists, and dermatologists have been made aware of the new label change and the risks of NSF that is associated with GADO dye agents for certain users. People using the agent are at greater risk for developing NSF if they suffer from acute kidney injury or chronic, severe kidney disease at the time they undergo the MRI. These agents were developed to enhance imaging for physicians so that they may better diagnose medical conditions. 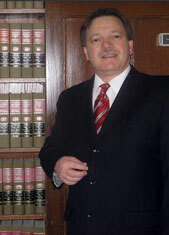 If you are in need of a lawyer, contact Burton Padove at 219-836-2200. That was interesting . I love your finesse that you put into your writing . Please do continue with more like this. Have you thought about adding some relevant links to the article? I think it will really enhance everyone’s understanding. I see no benefit to the patient by a warning on the contrast medium label which is never seen by the patient or mentioned prior to the MRI. I have an annual MRI to follow a benign meningioma (no growth over 7 years). No one has ever said anything prior to my MRIs about the contrast medium. I am wondering if the contrast medium has been changed since the reports of kidney damage and also if the MRI equipment could in itself cause skewed results or side effects due to age. I am the kind of person that likes to show appreciation for great writing. I thank you for writing this and making it so interesting. I have only one thing to say about your article. It’s fascinating content with fresh and sound ideas that fit many of my own views. I have been searching online for this information and I have only found confusing and poorly written articles until now. This is the best and easiest to understand article on this topic I have found. This article is brilliant. It has really made me think and that’s the kind of writing I enjoy reading the most. Thank you for this well written material and information. Thank you for influencing so many readers with your great information. Your article has sparked a lot of thought for me. I share your views. This is exactly the type of information I’ve been looking for. Thank you for posting this article for readers. We can all learn from this. Your article contains very interesting subject matter. I read through your article and it appears we share many of the same thoughts in this area. This article is really good. I’ve enjoyed reading the original content and fresh ideas you wrote. You are good at writing on this topic and I hope I can read more of your work soon. Reading your article made me realize how much effort you must have put into its content. I really enjoyed reading all this information and agree with you on a big portion of it. Good job. It’s great to read content from a writer that cares about quality content. You are intelligent and well-versed on this topic. This is good writing. Excellent article! You’ve used relevant material and valid points in this content. I agree with a lot your views. This is engaging and well worded. Articles that have quality information like this are as precious as gold. You have given me much to think about in this article. Thank you. Articles with original information like yours are an uncommon occurrence. I enjoyed how you used your own unique writing style to make you points clear. Finding clear information on this topic that is both easy to understand and interesting is a miracle. Your writing style is just my cup of tea. I share many of your views on this topic. I wonder why other writers don’t write this kind of article in easier to understand language like you. Thank you for writing this great article. I can’t top other comments made here, but I do think you are a great writer with a lot of talent. You’re points match my opinion almost to a tee. This article is very informative material as far as I’m concerned. I haven’t had to think this much in quite a while. Thank you for boosting my slow brain cells. This is a great informational article. I have enjoyed the good reading and I have to concur with much of your valid content. Thank you. I have this article bookmarked. I did that because I feel I need to read it again. I believe your information to be valid. Thank you for making it interesting. You’ve gone to a lot of effort in researching and writing this article. I share your viewpoints on this topic and appreciate your interesting thoughts. Thank you for your commitment to good writing. Your use of persuasive content impresses me. I like your views and concur many points. Please continue to put out great work. Your article is extremely informative without being intimidating. That’s a unique quality in a writer. I agree with not only the points you make in this content, but also with the way you present them. It’s very refreshing to me to stumble on such a fantastic article. Lately, I have found it to be more difficult to uncover even decent articles much less articles of this high quality. Thank you. It’s obvious that the writer of this article completely knows the subject. You have posed some very interesting, and thought-provoking ideas. I am convinced that this article is the best I’ve read on this topic. I am bookmarking your article because I feel I need to read it again once I have thought about some of the points you made. I hope this is only the beginning of this unique information. I like your writing style. I would read anything you wrote based on this. Thank you for your useful informative article. I feel I’ve come away a little smarter and more open-minded by reading your article. I am saving your article to my favorites to show to my family.